Bringing joy to children in need. The holidays can be a rough time for many families around the world. We have taken initiative to provide as many kids as we can with the opportunity to receive gifts so that they can feel the joy of Christmas. Our two holiday projects include our adopt-a-child program and shoebox drive. We work with families going thru financial struggles to ensure that their kids are able to have a real Christmas Experience. We have been able to bless four children with tons of gifts the past two holiday seasons. There are millions of children within third world countries that have never had the opportunity to receive a gift. This past holiday season Dreams To Kings and Queens shipped over 40 shoeboxes filled with various gifts and personal care items to children in different countries. These shoeboxes have the ability to change so many lives. 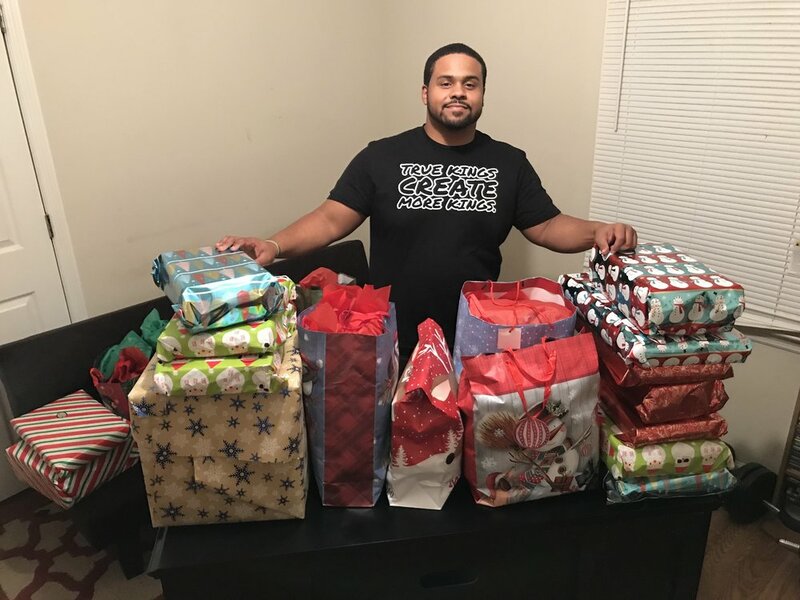 Some of the many gifts provided for the kids we adopted for the holidays in 2018. We were able to fulfill their Christmas wish list and give them the Christmas they deserved. In 2017 we put together 40 shoeboxes filled with different items for children in third world countries, so they could experience the holiday season. CEO & Founder, Tracy Stephens with the family we were able to help out this holiday season. We want to thank everyone that donated towards our Holiday Blessings initiative.